I’m a teen writer. From my four years experience with writing, I have learned to ask myself six questions. How would you answer them? Commitment is essential in writing. You have to be prepared mentally for the task ahead of you. Yes, you’re scared because it seems daunting — we all are. But being “scared” doesn’t mean you can’t do it. Despite your fright, do you feel that burning desire to write no matter what the cost or however long it takes? Do you write because you like it? Or because you want to? Because you think it’d be a good experience, or because you think you should? Do you write because you want to see your name and words in print or because of money? 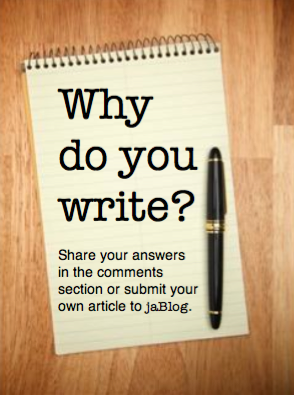 Do you write because you can’t live without it? There can be a lot of reasons as to why people write; maybe it’s one I covered above or even something else. Whatever it is, if you’re not sure exactly why you write, think about it. Am I ashamed of my writing? Writing is meant to be shared and read and enjoyed. If you’re too shy and ashamed of your stories, how are you ever going to hope to publish them? Maybe you don’t want your family to read it because you’ve based one of your characters off them — and in a negative light. That’s okay. But you can’t keep hiding forever. So why not speak to them while you’re in the midst of writing your book? You could talk to them about their character, what makes them tick, and maybe they’ll even enjoy being the bad guy. Of course, the situation could be different. Maybe you think you’re a rubbish writer. If this is the case, know that you aren’t. You might be thinking, “But when I compare myself to J. K. Rowling — !” You’re not J. K., are you? No? Okay, problem solved. You have a different and unique style all your own and even though you may think your story is rubbish, keep on trying. Don’t give up. This question is simple. If you don’t enjoy writing, then you probably shouldn’t be doing it. What does my writing say about me as a person? Everyone has a different writing style. Maybe you prefer dark, mysterious stories with a sarcastic protagonist and fast-moving action. Or maybe you like fluffy stories that include a cute guy, pretty girl, and a sweet romance. Whatever it may be, our writing can sometimes define us as a person. Say your story is a romance. There’s a high probability that your lead guy will be someone who has favorable qualities in your eyes. I prefer a sweet yet cocky guy, while you might like dark and quiet. Doesn’t this already tell you something about us? I’ll leave the answer to this question up to you, and solely you. If you’ve answered a straight yes or no to these questions, then I would advise thinking about it some more. Write out an answer, if you will. Pour all your feelings into it and see where it leads. If you have no idea what the answers to these questions should be, definitely think over them. Over time, you’ll come to contemplate these questions many times. Why not decide the answers to them now, so that when the doubts come, you can be sure of yourself? 1. How far am I willing to go? For me it is more along the lines of how far until I am willing to stop. 2. I write because in my mind I see worlds beyond my own belief, characters who make me laugh and cry, and beauty beyond comprehension. For me writing is the only way I can even try to show others these worlds in my head, and even though I fail constantly I want the world to see so I keep trying. 3. I am not ashamed of writing at all, If someone else doesn’t care for writing then they can look the other way, I surely won’t shove it under their nose. 4. I enjoy writing greatly, it allows me to organize my thoughts and keep track of all of my ideas that would otherwise be forgotten. 5. This is a tricky question, I write what I see in my head which is influenced by my mood, the music I am listening too, and the story I am writing. 6. It is most certainly worth it . Even though I have never finished a project I have hundreds of little tidbits everywhere, and you know what? Each writing has a memory attached, I can look at a piece and read the emotion in those few lines as easily as I can read the words themselves. So yes, even if no one but me ever reads it, it is Worth it.